When a suspicious gas leak blows up his favorite doughnut shop, a retired American expat bumbles into a mystery in Mexico. Robert Evans doesn’t love the nickname he’s earned in his adopted hometown of Oaxaca, but he can’t shake Santo Gordo, the crime-fighting alter ego who inevitably finds himself entangled in suspicious events the corrupt authorities prefer to ignore. Also, his sizable girth nets him a special steel-reinforced chair at his favorite bakery. In this, Evans’ second outing, the pink pastelería explodes minutes after he leaves with his sugary breakfast. His friend Efraím, head of the powerful local cabbies union and driver himself of an ancient, immaculate taxi, asks Evans to investigate (the bakery belonged to Efraím’s uncle). Evans also agrees to handle a sensitive inquiry for his estranged daughter, Randy, a commandingly efficient do-gooder who suspects that a nonprofit she represents is actually a front for a two-bit fraudster. The father and daughter begin to repair their relationship, even as Evans’ slow unraveling of his other case threatens to undermine it, revealing the bakery was targeted by an American company wanting to do for fair-trade chocolate what Starbucks did for coffee. Randy thinks the company will improve life in Mexico, while Evans worries its corporate version of “doing good” will flatten Oaxaca’s citizens, since its motivations and effects are likely apiece with the American-style malls on the city’s outskirts that “threatened to siphon off everyone local and turn the downtown zócalo into a tourist Disney-Mex attraction.” The conspiracy never stretches beyond the demolished bakery, making for a plot that, like Oaxaca’s cinnamon-laced, water-based hot chocolate, is spicy but thin. Still, Evans’ love for the city feels real, grounded in details like the taste of chicken mole, the opening hours of the English-language library and the rococo infant Jesus in his landlady’s Christmas Nativity. Kerns (Santo Gordo: A Killing in Oaxaca, 2012) describes a slow-moving town where the walled compounds cannot forever shut out the winds of globalization. 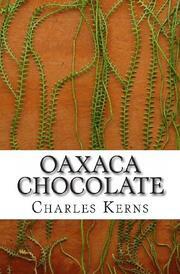 The city of Oaxaca, lively, dark and under threat, plays a starring role in this satisfying mystery.